One of the fastest growing industries, not just around the world, but back in India too, Social Media is the place to be if you are aspiring to script a successful career for yourself. 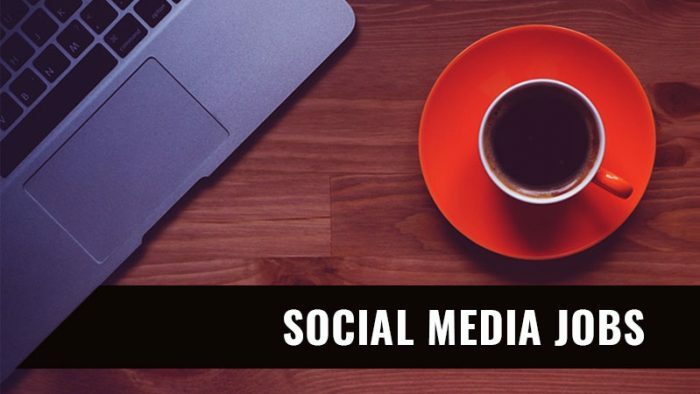 Begin your journey with these lucrative social media jobs. Some of the industry’s leading publications, agencies and organizations are on the lookout for skilled and ambitious new talent. A goldmine of opportunities beckon, and you are in the right place with Social Samosa Jobs where we help you wade through the countless opportunities to find the right employment with best social media jobs. Many organizations are looking for bright young minds to fill in these positions and land lucrative social media jobs from individuals that complement their organizational values and strive to achieve the objectives assigned to them. These are the companies looking to hire you if you are the right person for the job. Social Media Manager at A B See Peninsular Pvt. Ltd.
A B See Peninsular Pvt. Ltd.
Motion Graphic Artist at A B See Peninsular Pvt. Ltd.
Find more jobs with Social Samosa’s Network of WhatsApp Groups across disciplines from Account Management/Client Servicing to Business Development, Content Writing/Copywriting, Designing, Digital Marketing (PPC, SEO, SEM) Media Planning, Social Media and more!